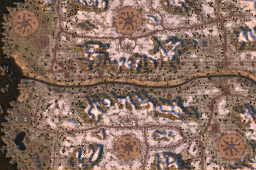 A small blue tiberium map in a blue zone environment. 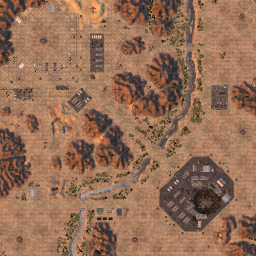 A blue tib map adapted for 4 players. This maps cojures up a special atmospheres by spooky light, howling wind, and red mist which covers a mysteroius battered landscape. 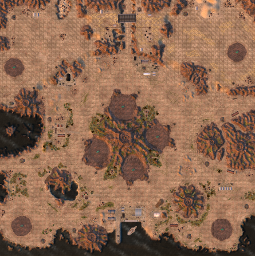 A gigantic tiberium field covers the bottom of a dried out lake in the middle of a beautiful countryside. 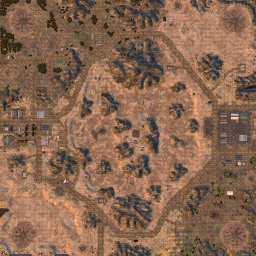 Blue tiberium fields provide plentiful resources for fast and furious combats. The first snow covers the mountain sides in late autumn, a cold west breeze is blowing but the sun is peeking out more and more often to encourage outdoor combats. 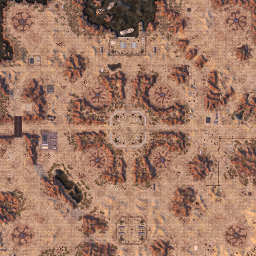 The unusually placed starting point allows various combat combat scenarios. 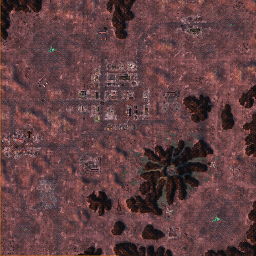 Capture and hold the uphill located tiberium field to gain a strategic advantage over your enemies. 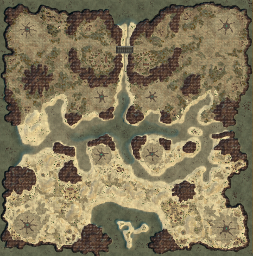 Visit the mysterious island with its smoking volcanoes, shallow lagoons and rushing sea which creates a special atmosphere for thrilling combats. 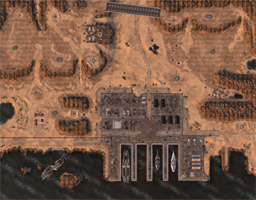 Capture the blue tiberium field located in the middle of the sunken base to gain a strategic advantage in your combats. 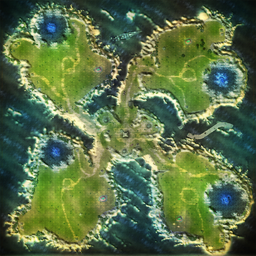 The sound of the sea and wind, a small harbour nicely located in a bay and hilly hinterlands characterize this map.